Day 13 - More quiet roads, less tourists, and the last big hill. 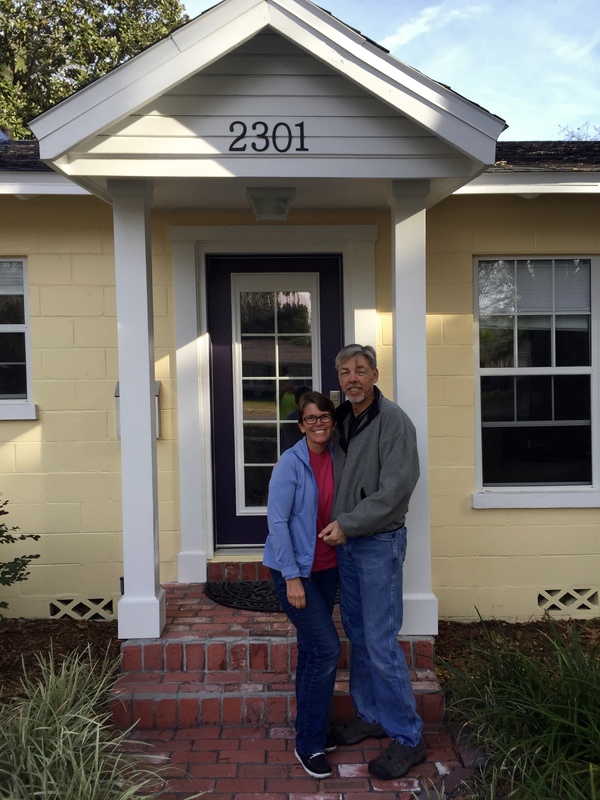 Had a very nice stay with Warm Showers hosts Mike and Lucia. They are gearing up to do the TransAm this summer so lots to talk about I hope to see them again in Oregon. That hill came not far from today's start and was called "Thrill Hill". Not nearly as thrilling as coming down a mountain pass but very nice anyway. There were nice open pine woods on top that would be nice to camp in. The scenery was not as nice as yesterday but still pleasant. Very rural. Some of looked like it could have been Oregon. 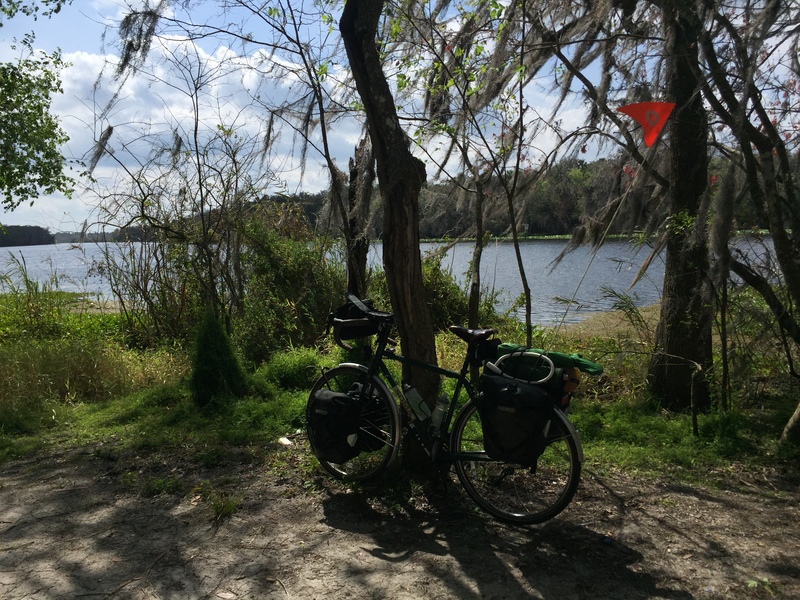 The route then skirted the edge of the Ocala National Forest. Had it been later in the day I certainly would have wanted to camp there. Lots of trails including a bike only trail which went 20 miles or so through the forest. If I ever get back it would be fun to take a mountain bike and ride and camp in these woods. Started looking for a place to camp early. I had seen some likely looking spots earlier but as soon as I started looking everything was fenced, and where it wasn't the undergrowth was impenetrable. I stopped at a state forest and a ranger even said I could camp there but there really wasn't a nice spot. Finally I found what I was looking for. There was a gate, but easy access around it and some nice open pine woods well hidden from the road. I was able to hang my hammock and get some quality relaxation. I believe this was in the Lake George State Forest. Warm Showers hosts Mike and Lucia. 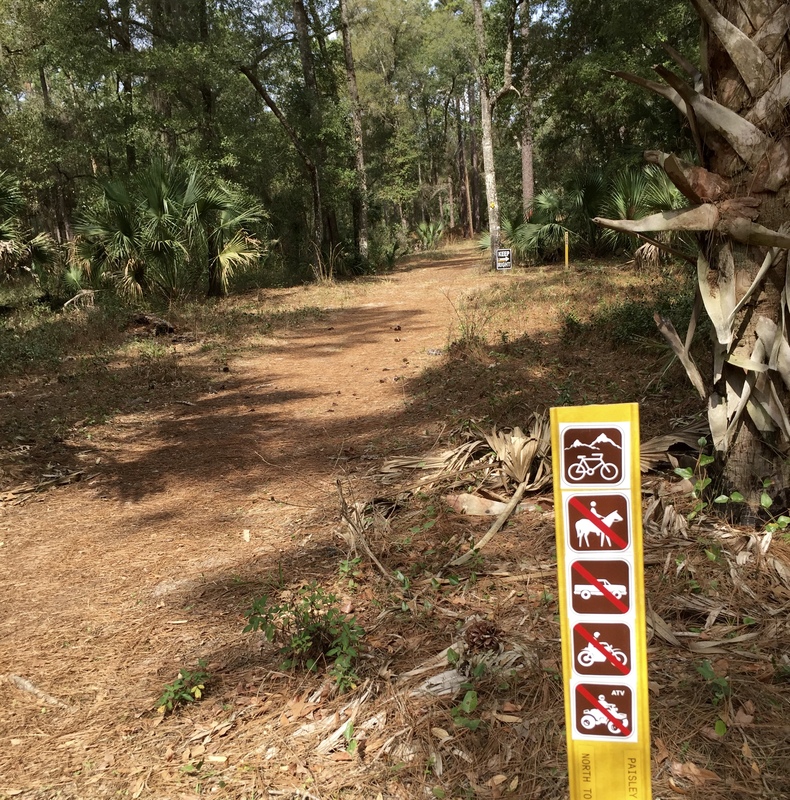 There was a nice mountain bike trail in Ocala National Forest. It went for 20 miles or more and you could camp anywhere. I didn't have the right bike. Bear aware in the Ocala National Forest. 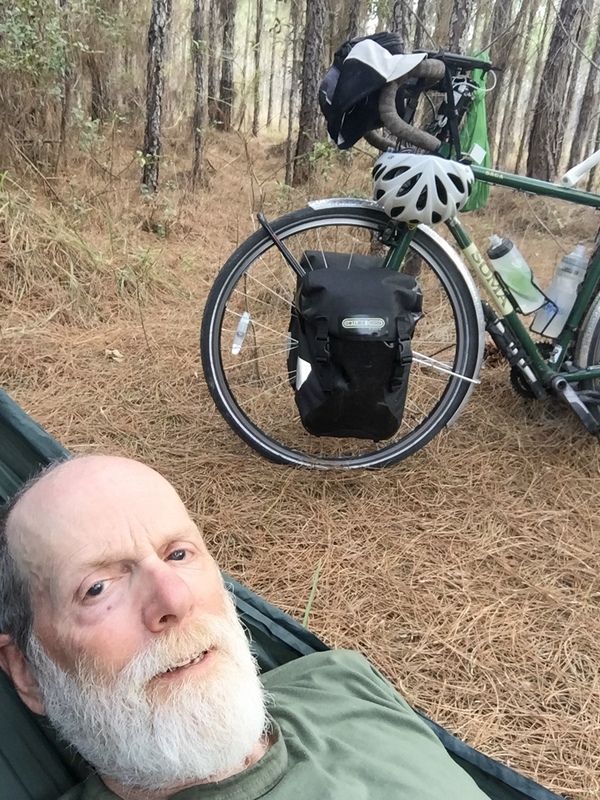 In my hammock in the pines.